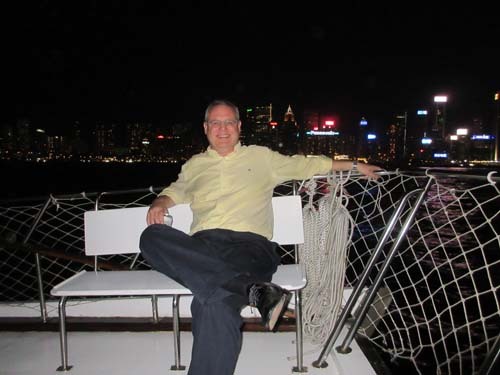 Thanks to alumnus Andy Keith (BSc Hons Applied Biology 1987) and Deacons, Nottingham Trent University was delighted to invite alumni based in Hong Kong to enjoy special cruise of Hong Kong Harbour on Thursday 28 April 2016. Joining Andy in hosting this event were NTU's Head of Development and Alumni Relations Tim Cobb, and our Hong Kong Alumni Ambassador Chris Tang. A selection of photographs from the event can be viewed here. Please wait for the first photo to fully download. You may then use the buttons below the photo to pause and take navigational control of the gallery. Otherwise each photo will display for five seconds in a continuous slideshow format.